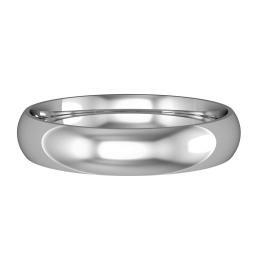 9ct or 18ct White Gold. The Court-shaped profile is also known as the 'comfort-fit'. The internal barrelling of this ring ensures outstanding wear ability. Individually polished by hand.